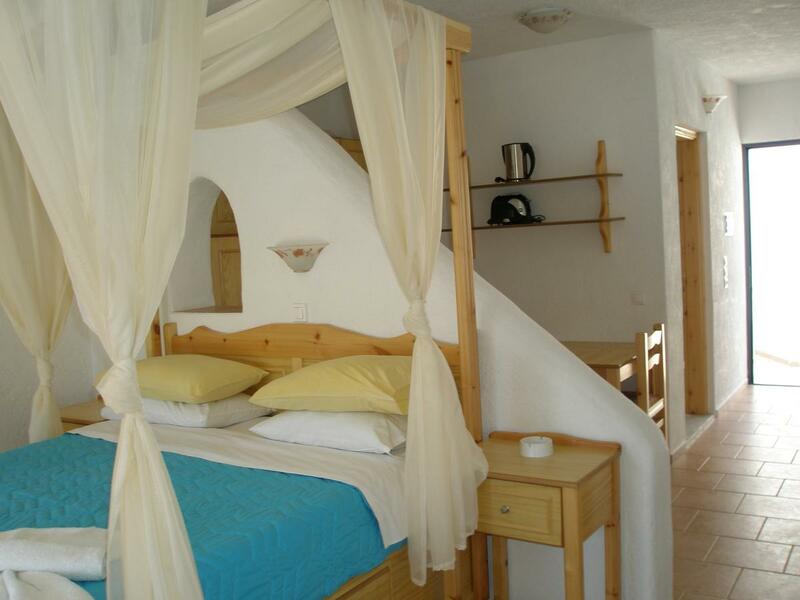 Weekly rates for Ilidi Rock Apartments & Suites start from £ 510 total, depending on selected dates. 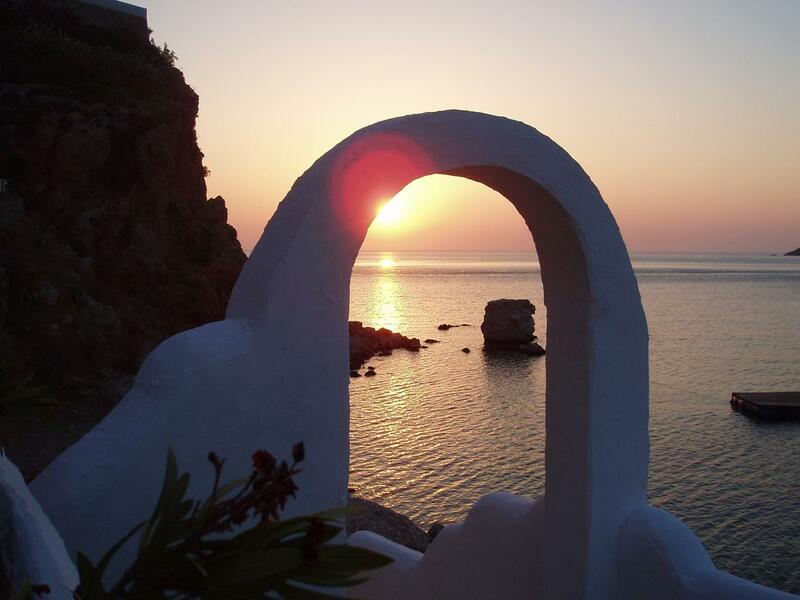 This superb accommodation occupies a sensational, landscaped position, almost overhanging the sea, at the entrance to Livadia harbour. 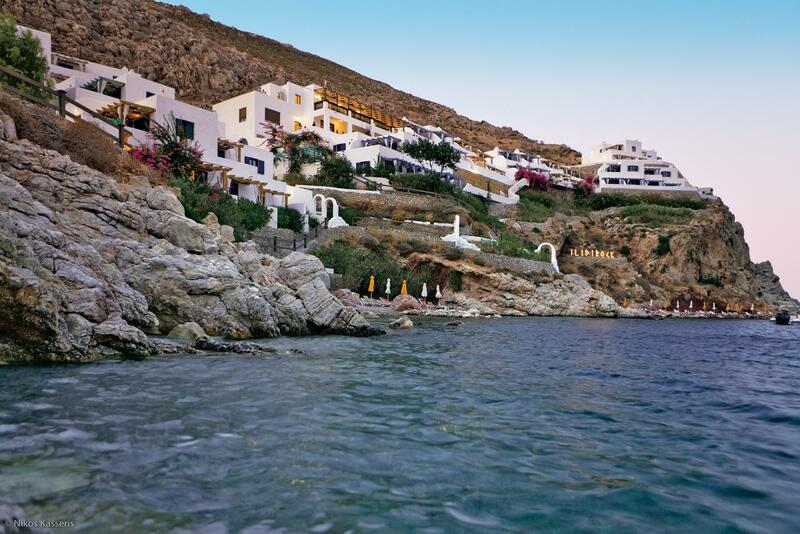 There are two little beaches immediately below, so pre-breakfast swims are easy. 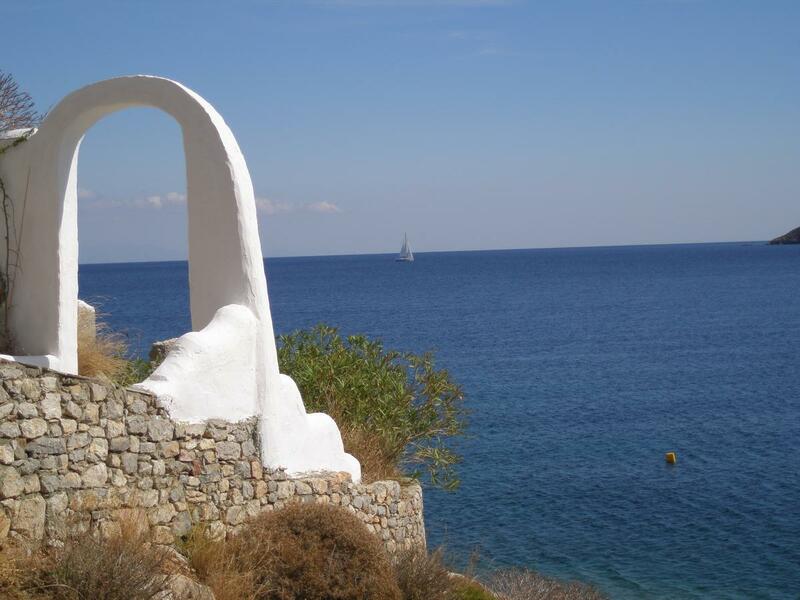 A paved walkway by the sea leads from the village and takes only a few minutes. Stylish decor, tasteful and of a very high standard throughout, offering excellent, comfortable and carefully designed accommodation-the raised bed platforms allow you to admire the views from some of the studios without putting a foot out of bed! All the apartments enjoy uninterrupted sea views. 1 Bedroom Apartments for 2-4 people. 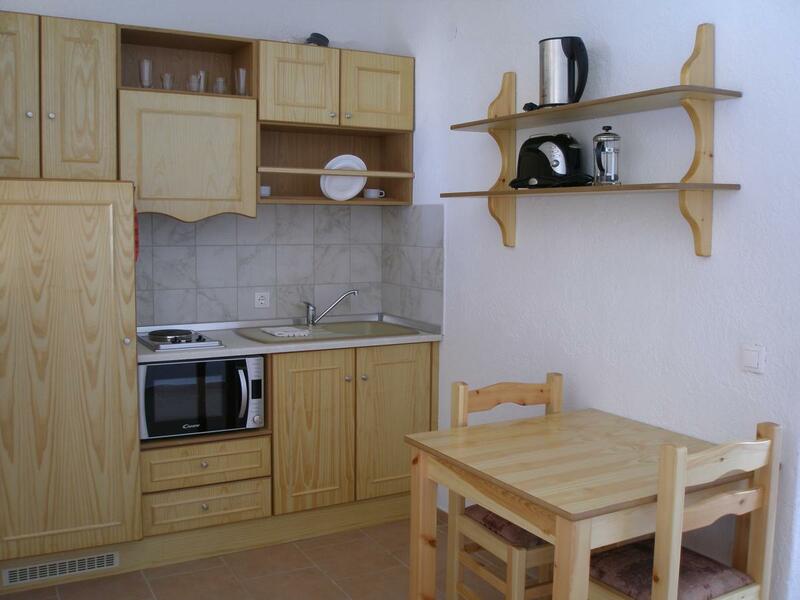 Spacious apartments with large, beautifully tiled bathrooms. Separate spacious kitchen/living room with a bank of fitted kitchen units incorporating a fan-assisted oven, which also doubles as a grill and a microwave. Extra sleeping is provided on two fixed divan sofas in the living area. French doors open onto the spacious terrace. 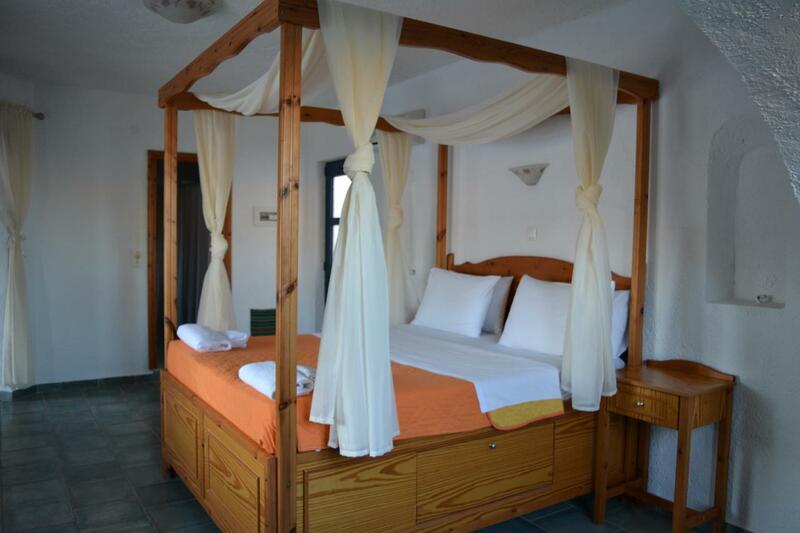 There is a separate wonderful bedroom with a four poster style double bed. Some apartments have one large terrace whilst other apartments have two separate terraces, one accessed from the bedroom and the other from the living room. Air conditioning is available-payable locally. These two spacious open plan suites in the highest building, come with a balcony for the upstairs and a large terrace on the ground floor suite. The suites are built, furnished and equipped to the same high standards as the rest of the buildings, but are more generously sized and the bathrooms are absolutely superb. Air conditioning available-payable locally.